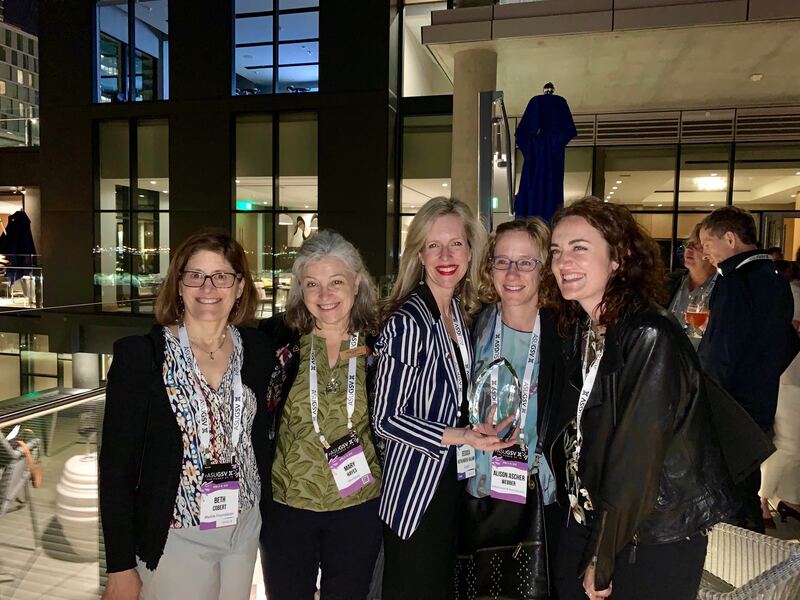 PALO ALTO, CA., April 9, 2019 —JFF, a national nonprofit that drives transformation in the American workforce and education systems, today announced Cell-Ed Works, a mobile-first collaboration between Cell-Ed, WorkBay, Wizenoze and World Education EdTech Center, as one of two winners of the $1 Billion Wage Gain Challenge. Cell-Ed Works will provide skill building, career coaching and job placement services for low-income workers, and shares the challenge award with the Economic Mobility Exchange (EMPath). Supported by Schmidt Futures, a philanthropic initiative founded by Eric and Wendy Schmidt that bets early on people who will make our world better, the challenge attracted more than 90 entries to raise the annual wages of at least 100,000 workers by $10,000 or more by the end of 2021 for a total impact of $1 billion. Research shows the wages of low-income U.S. workers have fallen by 5 percent since 1979, according to the Economic Policy Institute, and the wages of the average worker have barely moved in 40 years, according to Pew Research Center. “Some 100 million adults – more than half of the U.S. workforce – lack basic skills, which painfully impedes their ability to advance in their careers, education and earnings, leaving them unemployed, underemployed or earning below $25 an hour,” said Jessica Rothenberg-Aalami, CEO and founder of Cell-Ed. “Cell-Ed Works is forever grateful to JFF and Schmidt Futures for radically energizing the conversation of how we can reverse wage stagnation, and for nationally recognizing Cell-Ed Works as one of the two best ideas for how tens of millions of low-income workers eager to increase their education and earning power can do so,” said Rothenberg-Aalami. Although the challenge does not consist of a direct monetary prize, it does provide Cell-Ed Works with a wealth of support and connections to JFF’s growing networks of thought leaders, large employers, entrepreneurs, funders like Schmidt Futures, venture capitalists and others who want to see low-income workers gain economic ground. Cell-Ed Works is a mobile-first collaboration between Cell-Ed, WorkBay, Wizenoze and World Education EdTech Center that will provide skill building, career coaching and job placement services for low-income workers to increase their hourly wages. Workers will access this intelligent, end-to-end suite of workforce services via the Cell-Ed Works app and phone hotline, which will launch in 2019.